Automatic straight seam welding machine adopts argon arc welding machine as the welding power source. The stepping motor drives the welding gun to conduct constant speed movement. The moving speed and length is set through PLC; use pneumatic pressing plate to press to ensure the stability and consistency of welding; the action program of the whole machine is controlled by PLC; use the touch screen to input data. Pipe making machinary. 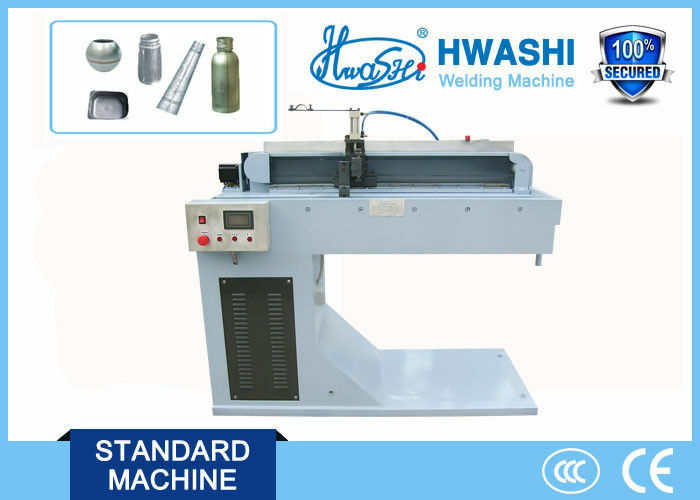 This machine is widely applicable to seam welding of all kinds of pipe. HWASHI ' experienced Design Staff and Applications Staff are available to assist you in selecting the correct Resistance welder and tooling for your needs. When your requirements demand a Multiple-head or Dedicated Resistance welder, call HWASHI. Our many years of experience in developing and producing cost effective, specialized Resistance welders for internationally recognized and new emerging companies, allows us to help you to achieve increased productivity and reduced welding costs within an affordable budget.